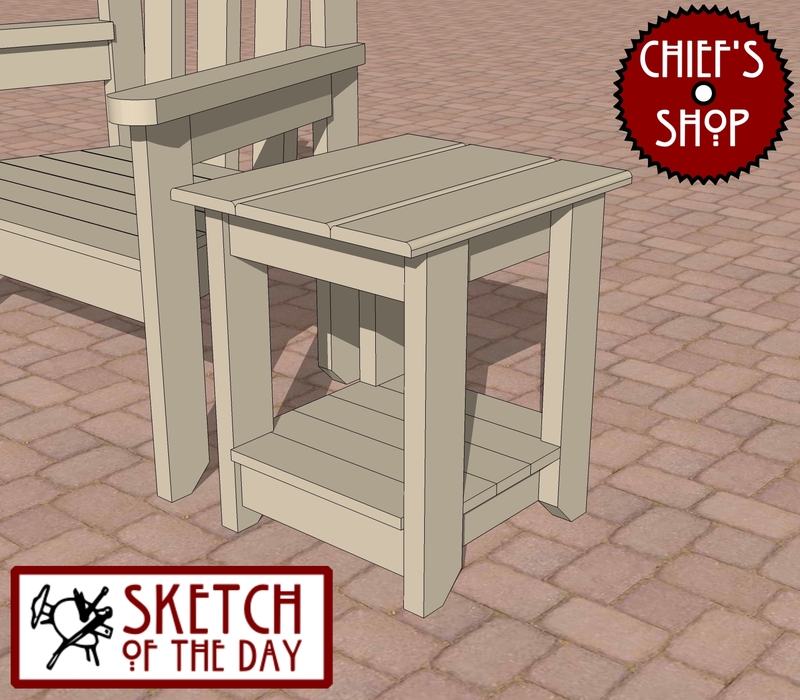 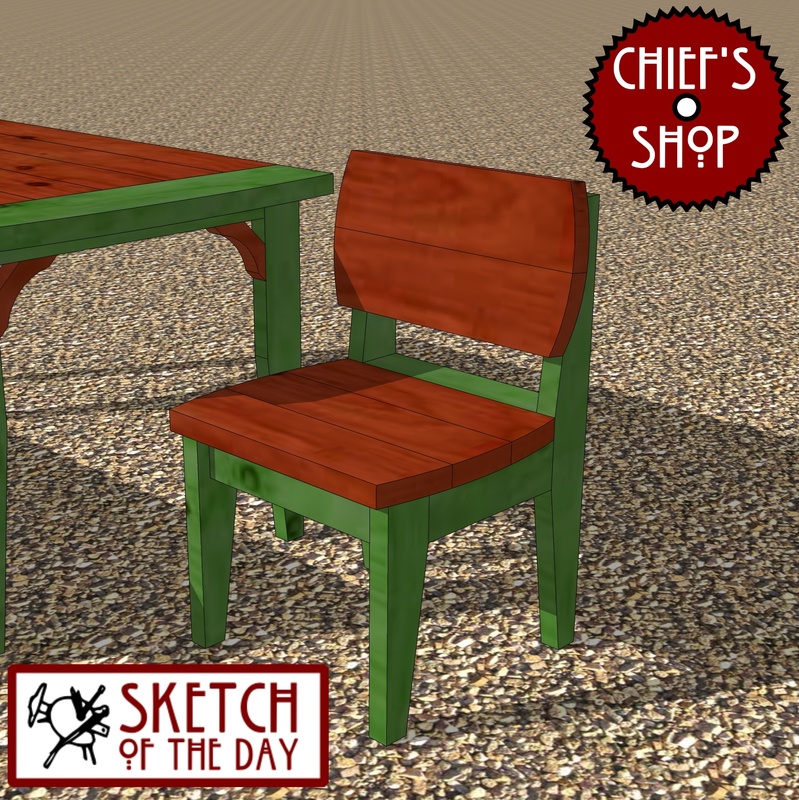 A chair design to go with the garden dining bench and garden dining table. 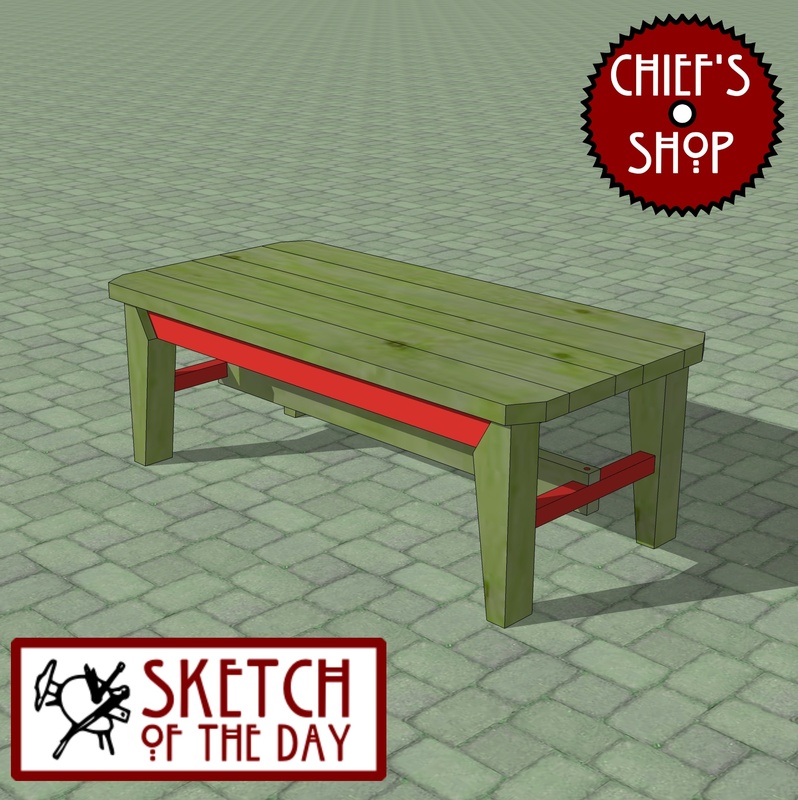 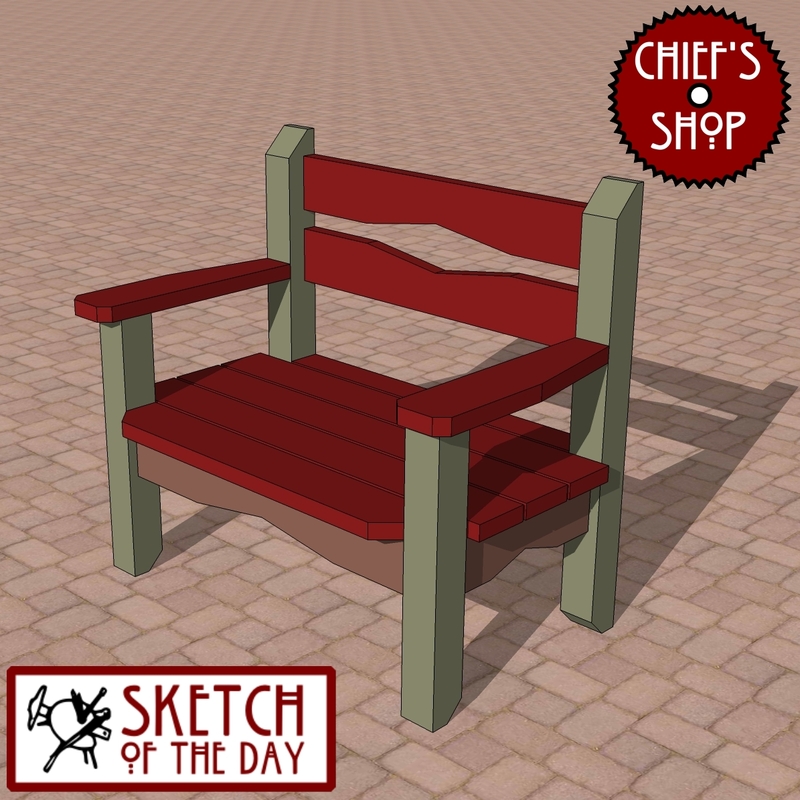 A bench design to go with the garden dining table. 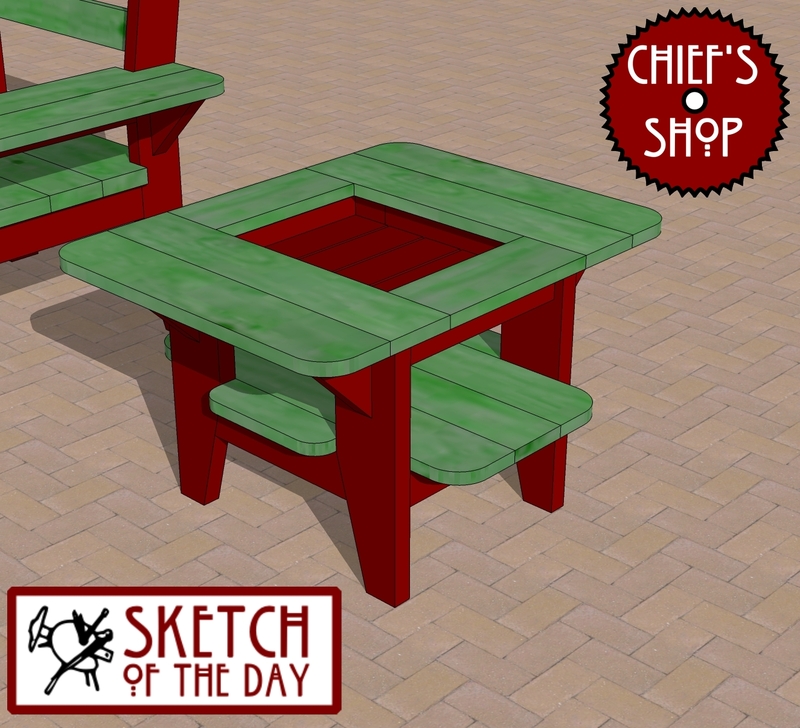 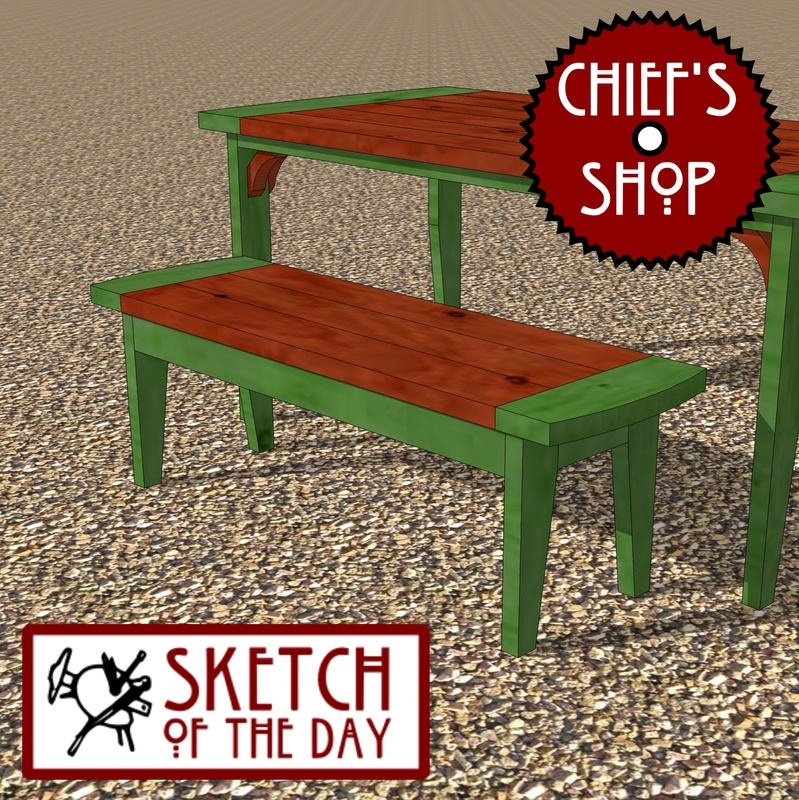 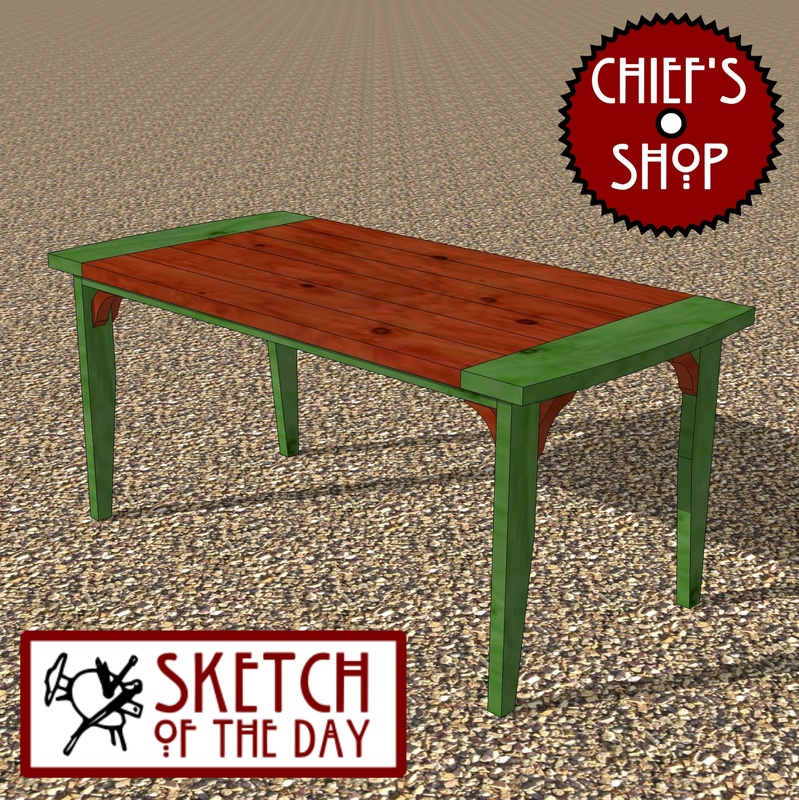 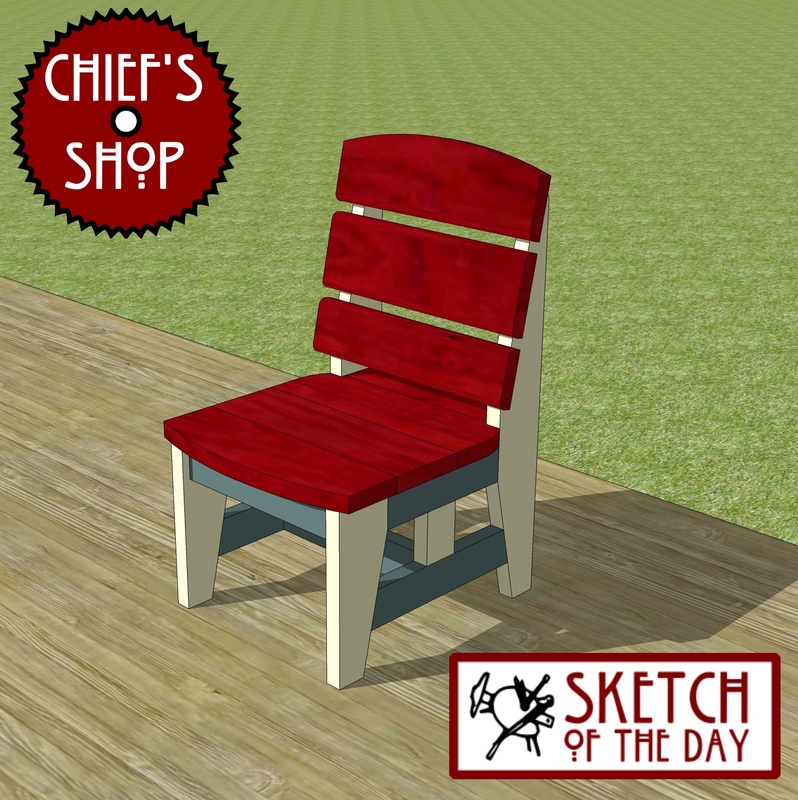 An outdoor dining table design concept – it would seat six. 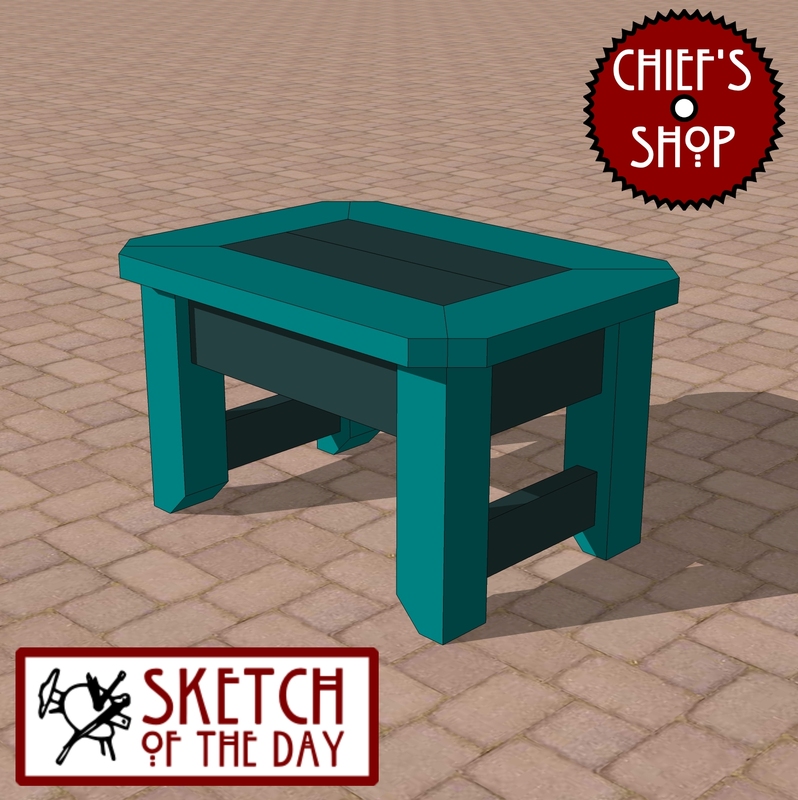 A side table design concept for an outdoor space. 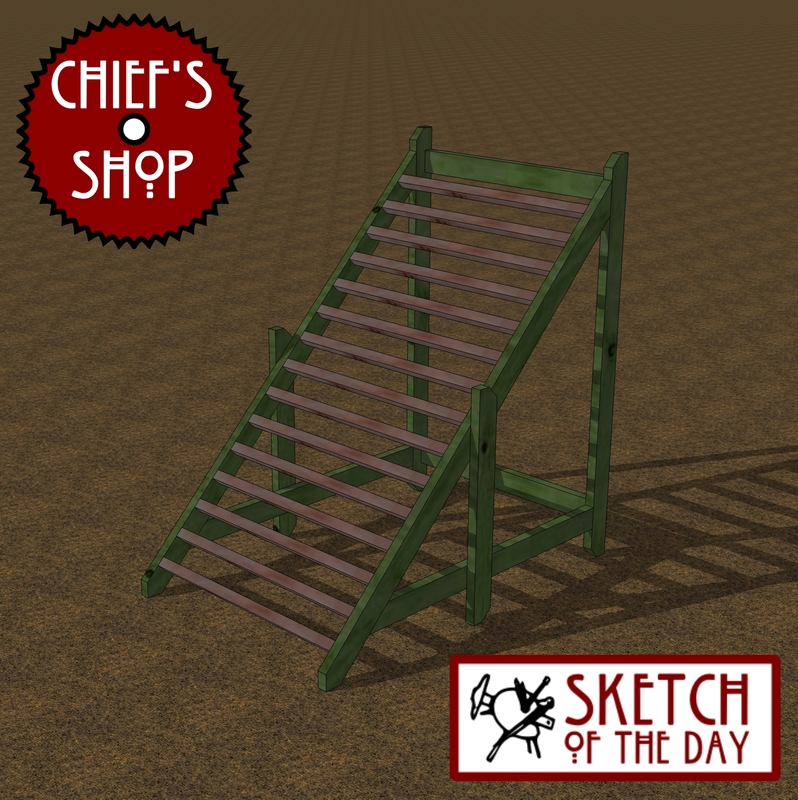 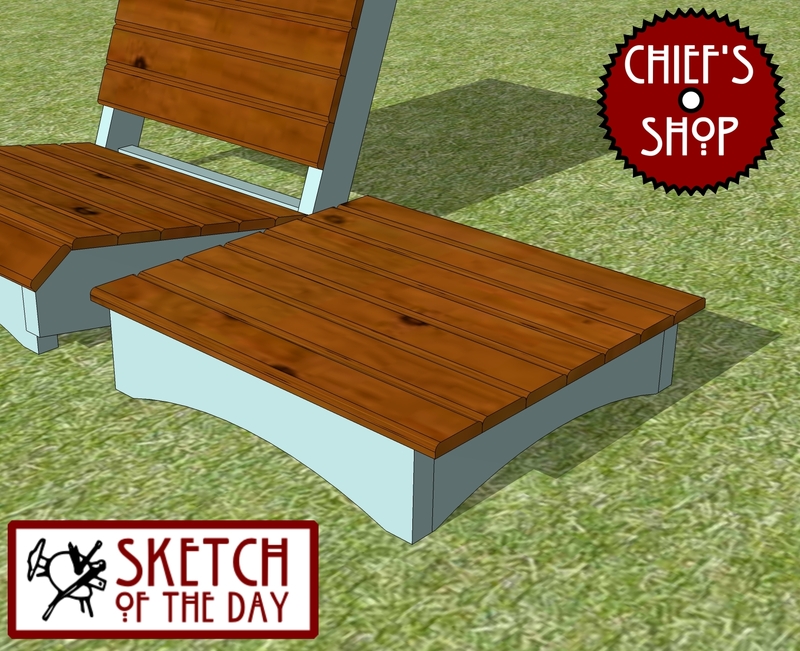 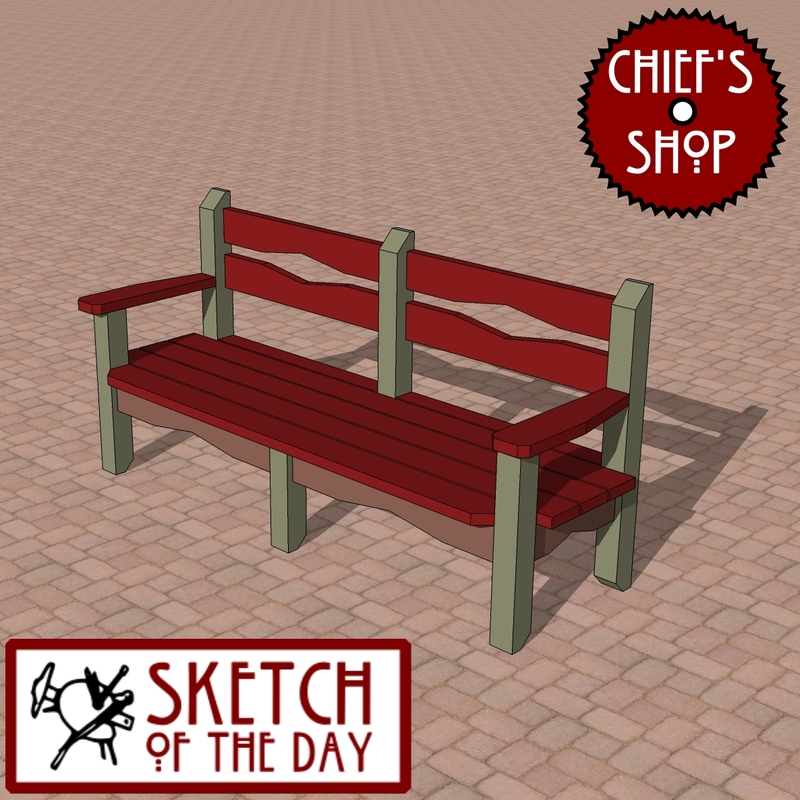 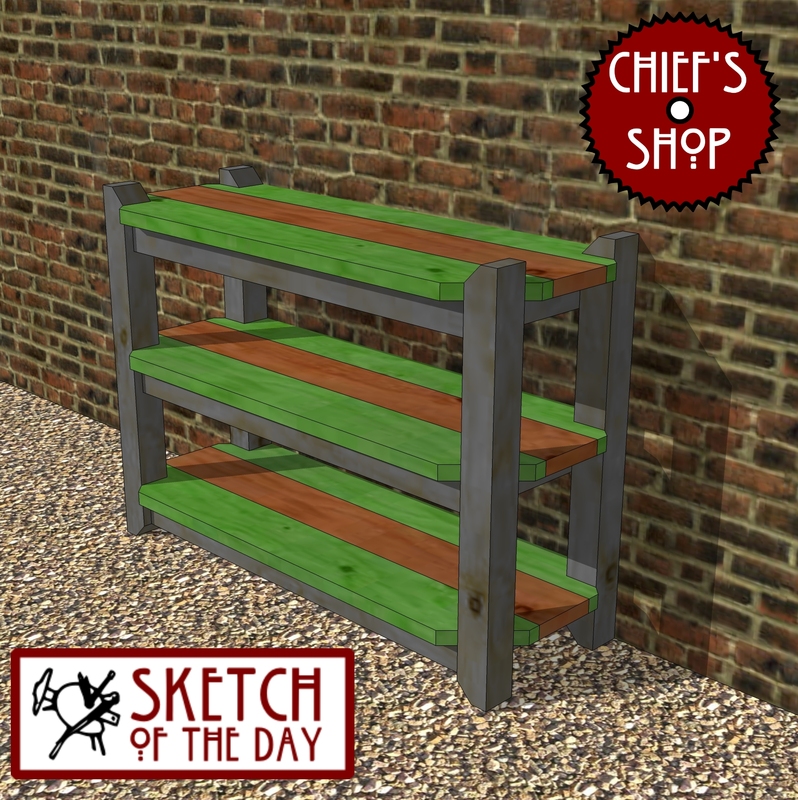 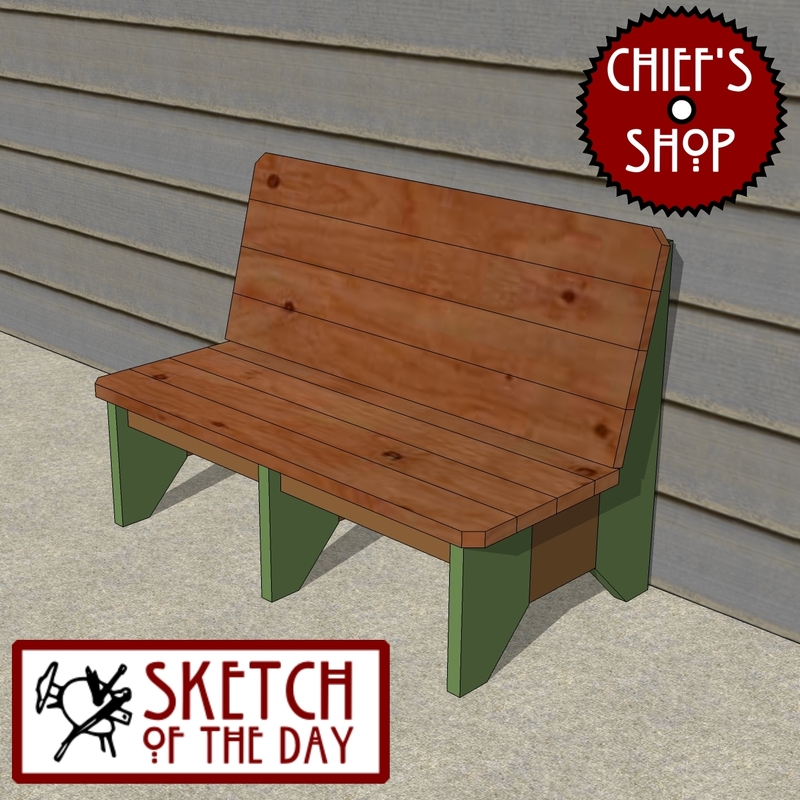 A bench design for an outdoor space. 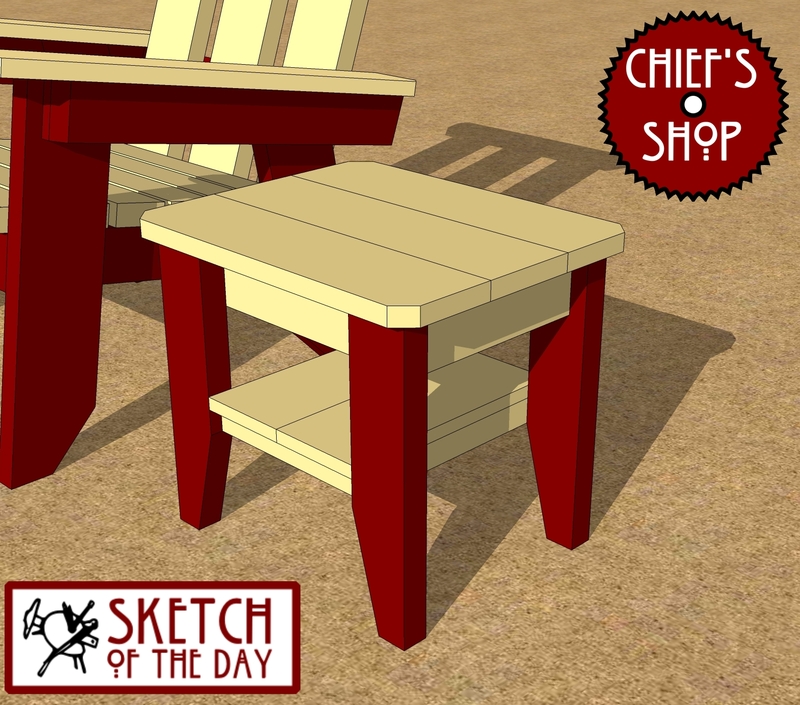 Watch the video to see the angled end rails. 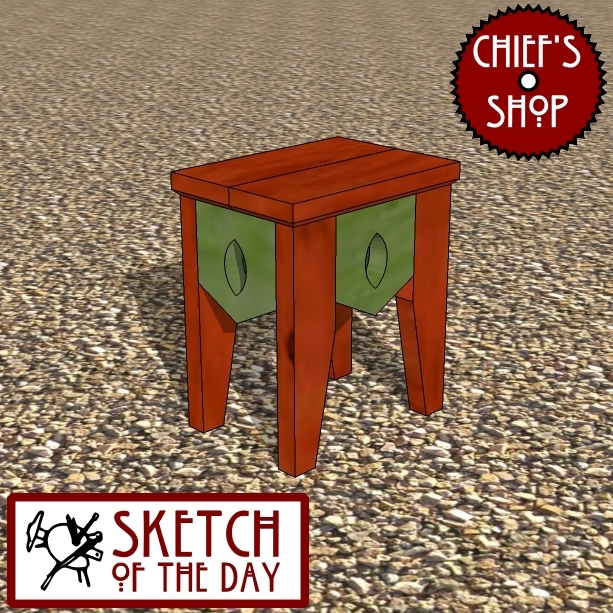 A small side table for an outdoor/garden furniture set. 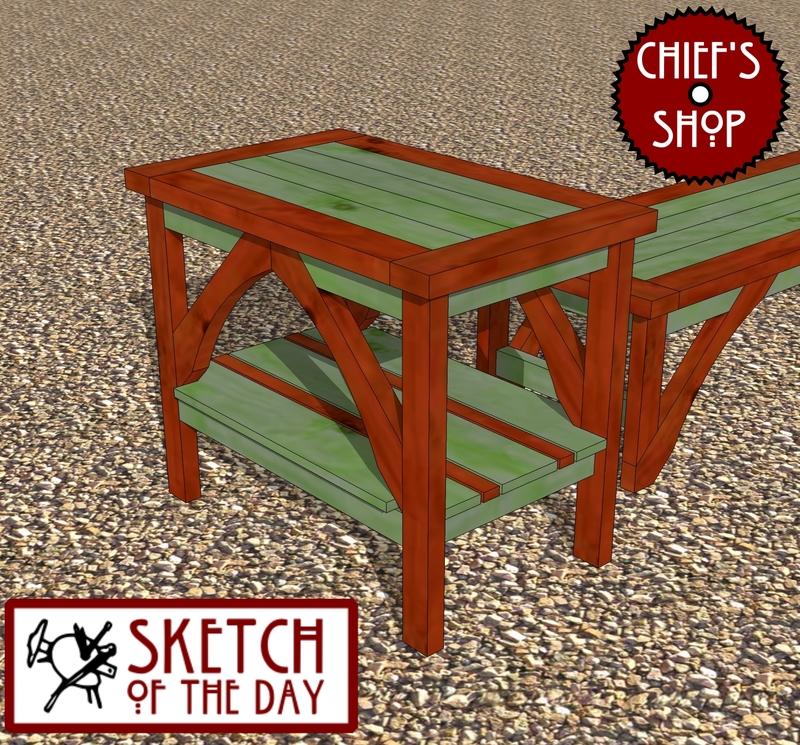 A side table concept to go with the garden bench concept from last week. 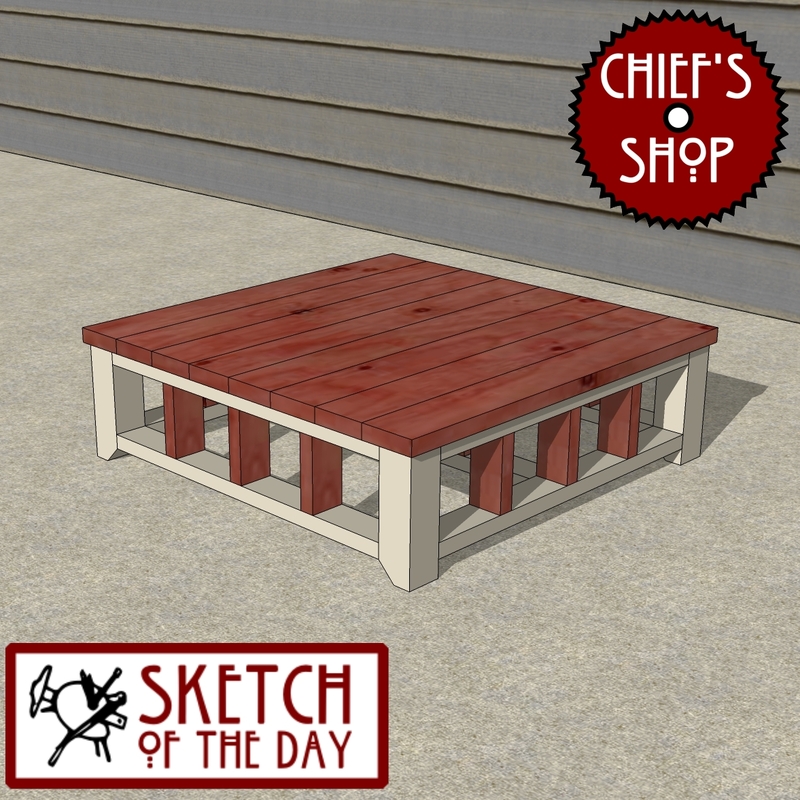 This could work as an all-purpose table for outdoor use. 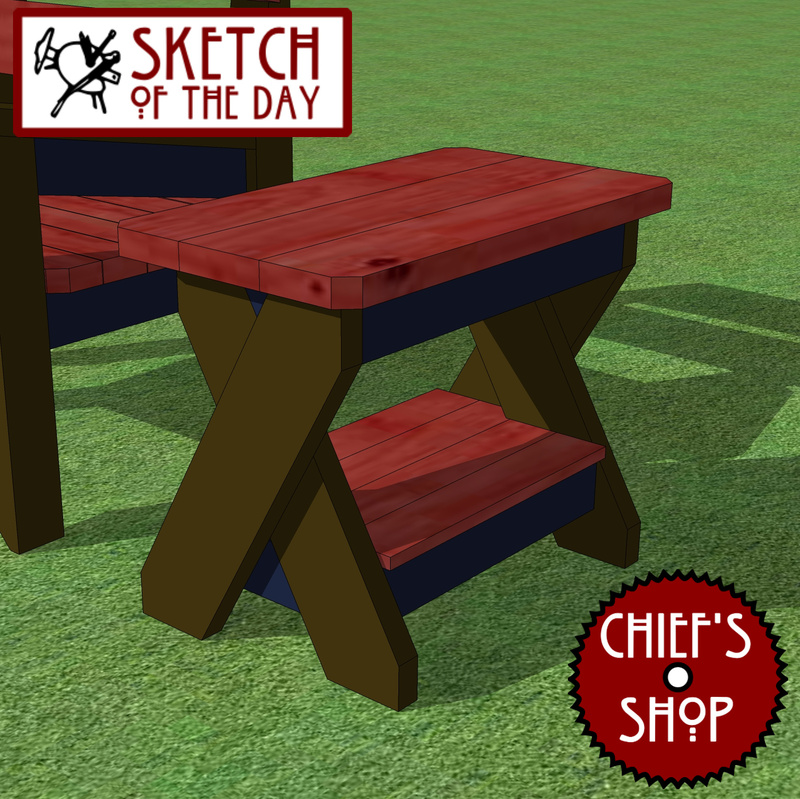 A side table concept to go with the party chair concept. 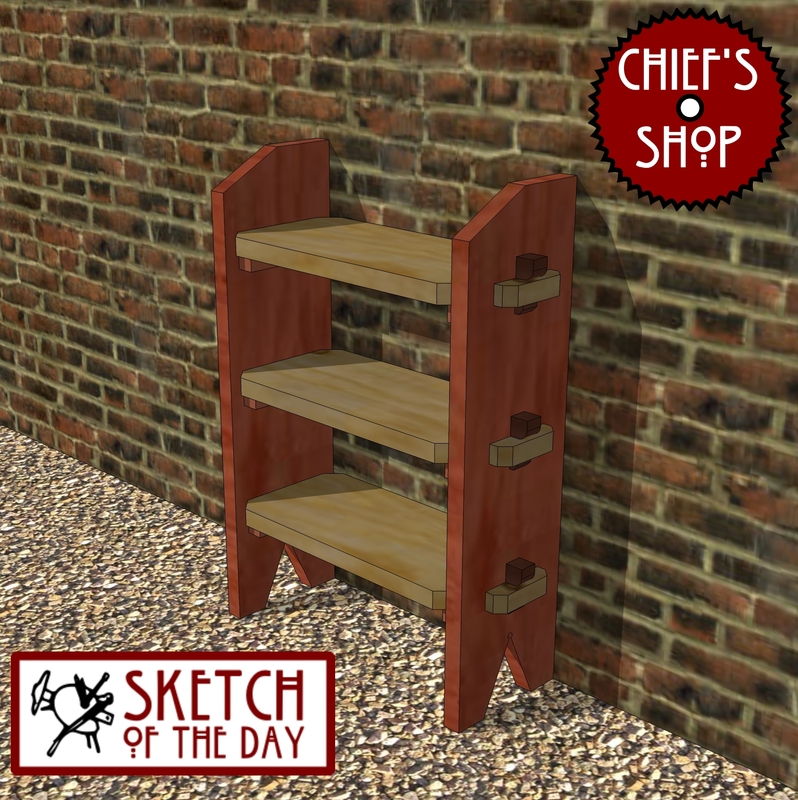 The center of the top is inset and the bottom shelf extends out a bit from the sides. 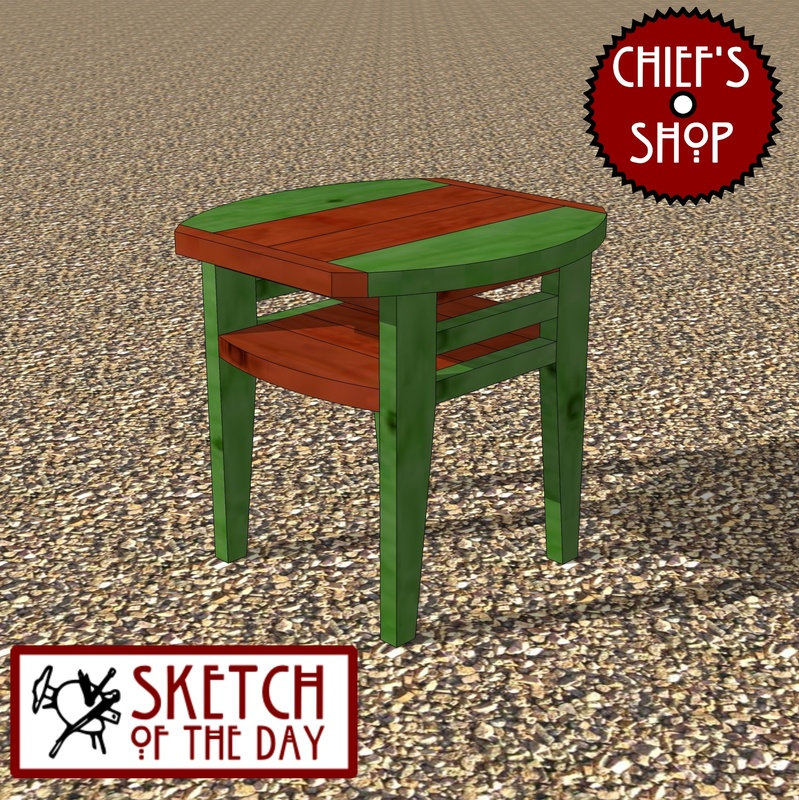 A side table concept to go with the sun chair concept. 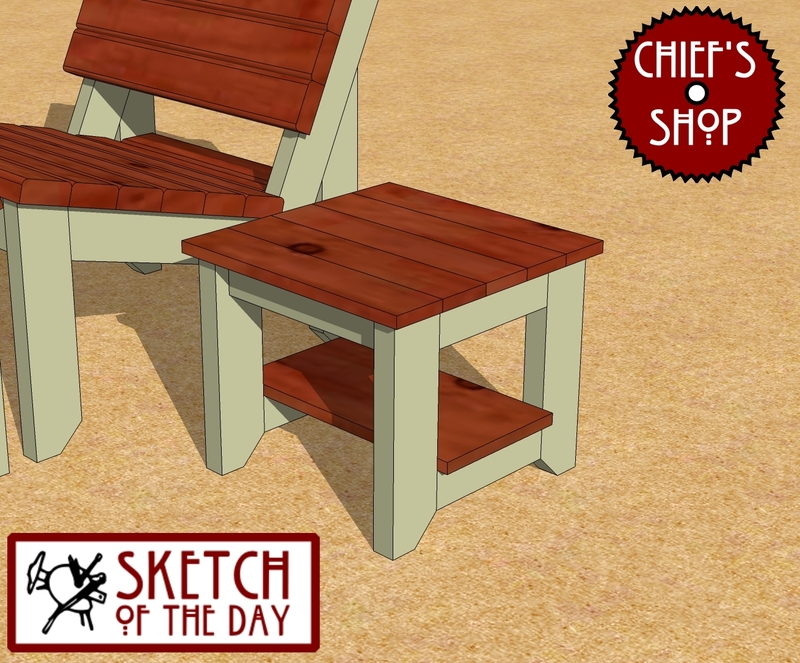 A side table concept to go with the beach resort chair concept.